About four years ago I compiled the first list/overview of what were then the most visited posts here at SF and Nonsense. To my surprise, Postscript (or is that post post?) was itself instantly popular. It remains third on the all-time list. Here's this year's all-time top-ten list, which I've assembled from data captured a few days ago. The format is: title/link; posting date; last year's rank in parens (if it was in the top ten); and a few words about the post content. Betrayer of Worlds, 12 October 2010 (2). 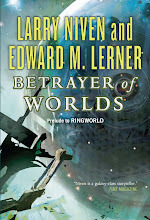 The announcement of Betrayer of Worlds, the 4th book in the (five-book-long) Fleet of Worlds series. Of fleet Fleets and Known Space, 1 February 2011 (6). 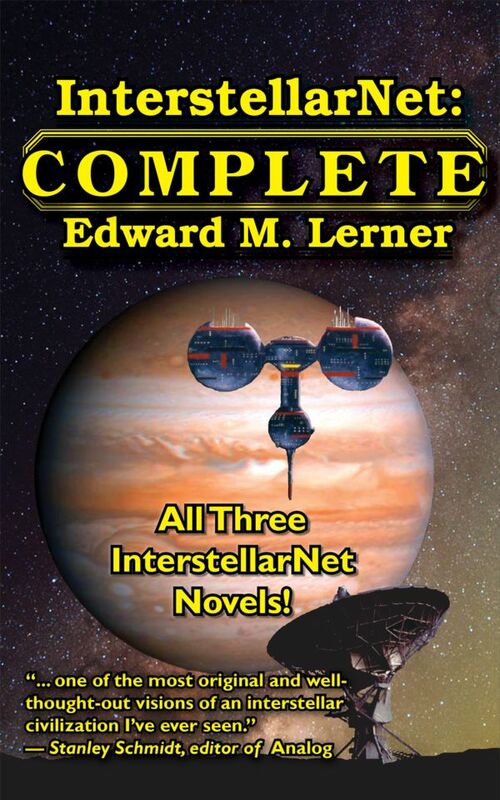 Discussion of the Fleet of Worlds series; reading order within the larger Known Space series. Trope-ing the light fantastic (life-sign detectors), 29 February 2009 (4). One from my tropes-in-SF series of posts. There is no fate (of worlds) but what we make ourselves, 21 August 2012 (5). 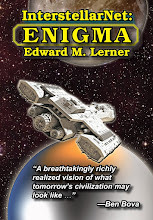 The announcement of Fate of Worlds, the fifth and final book in the Fleet of Worlds series -- and, as it happens, also the fifth and final book of Larry Niven's Ringworld series. Humans, Pak, Puppeteers: in one word, 26 September 2011 (10). Another Fleet of Worlds and Known Space post. Kilometerstone (et. al. ), 10 December 2008 (7). Commemorating an early round number (stretching a point just a tad) in my blogging. Creative Destruction, 11 February 2011 (8). An after-the-fact discussion of Creative Destruction, my first collection. The neural interface you always wanted is (at least, could be) coming, 17 June 2014 (n/a). Some forecasting about the named tech, inspired by my participation in a days-long MEMS-and-nanotech workshop. Squid eyeballs. Made you look! The longer a post has been available, the more opportunity it's had to attract eyeballs, so at some level, expecting older posts to have accumulated the most visits makes sense. OTOH, older posts can become dated -- and many have, of course. Several in the above list, though, clearly have staying power. That's the look back over a full year. Let's review page hits over merely the past month. That data looks a lot different. Of philosophy and planetaria, 24 March 2015. My review of the new zine Sci Phi Journal and my panel at a fundraiser for a nearby (you guessed it) planetarium. Of Hugo Awards, Sad Puppies, and notoriety, 8 April 2015. A personal take on the controversy swirling around nominations and future voting for this year's Hugo Award. 2015 Hugo Finalists, 4 April 2015. 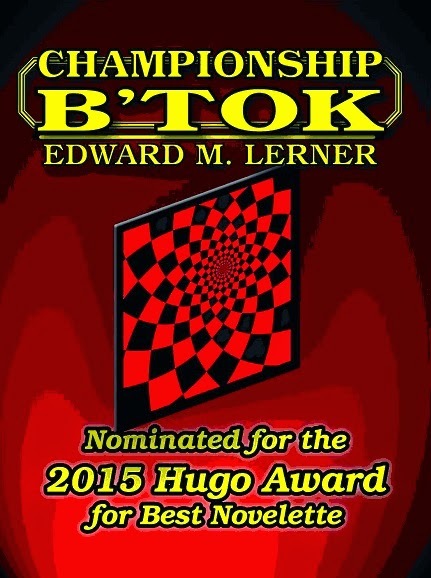 Announcement of this year's finalists -- one of said finalists being my novelette "Championship B'tok." Reason (or lack thereof), 5 September 2009. It's little more than a Jonathon Swift quote and a mea culpa for working rather than posting. My best guess: people Googling for the quote discover the post. Trope-ing the light fantastic (life-sign detectors), 29 February 2009. As above, a post in my tropes-in-SF series. Of Gw'oth and Jotoki, 15 September 2010. Another Known Space post. The Gw'oth are aliens of my invention; the Jotoki are aliens of Larry Niven's invention. With few other points of similarity, the two species happen to look somewhat alike. A B'tok update, 7 April 2015. About my Hugo-nominated story. B'tok (and ka-Boom), 1 March 2015. About the same story, pre-nomination. Humans, Pak, Puppeteers: in one word, 26 September 2011. As above, another Fleet of Worlds and Known Space post. In the most-recent-month list, entries 2, 3, 7, and 8 are clearly related. I like to think these posts don't qualify as flaming. (Far too many FB posts, tweets, blog posts ... on the 2015 Hugo situation make no attempt at balance.) And while the ranking is for the past month, check the dates. Some of these related posts have been up only for the past week or so. Enough raw data! Why not check out some Old Favorites and some Up-and-Comers?